The Z335E is our entry-level zero turn model featuring an attention to detail that makes it a wise investment. Although smaller in size, the Z335E features a powerful 12.3 kW V-twin cylinder OHV engine that delivers reliable and consistent performance. Ease of use is guaranteed through the intuitive motion control levers. 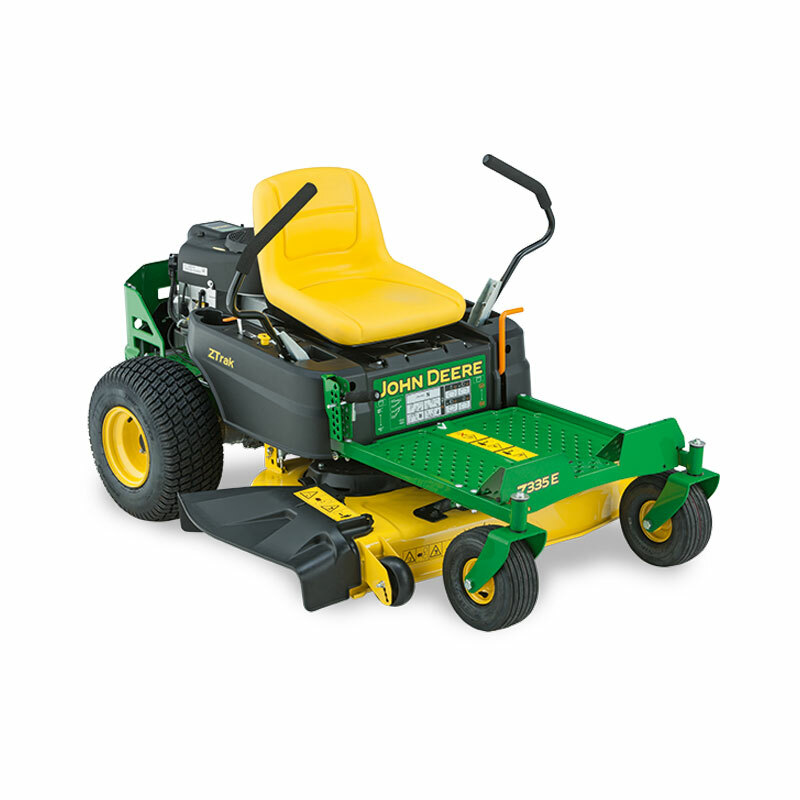 The 107cm (42in) mower deck delivers high performance and can be easily converted to mulching or collecting with the addition of optional kits. For garden areas that feature a number of obstacles and for people wanting speed and efficiency – the Z335E is the perfect model.